1. 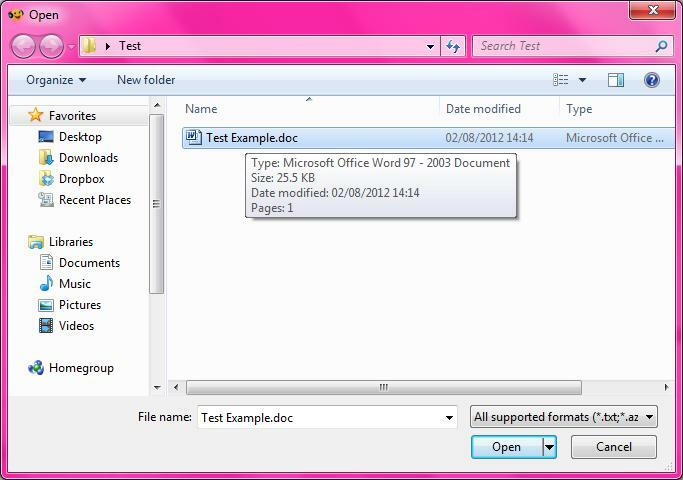 You can open Word and PDF documents in Balabolka and have them read out to you. To do this click File then Open and browse to the file you wish to open. Select the file and then click Open. 2. The document will then appear in the Balabolka program, ready for you to read out or edit as necessary. 3. You can navigate between numerous documents using the tabs at the bottom of the Balabolka screen. 4. Importing documents into Balabolka can be very useful when converting the text to speech, as explained in the next section. 5. To hear the text you have typed read out to you from the start, place your cursor at the beginning of the text and press the play icon on the toolbar at the top (white arrow on green background).